Archived project pages may be formatted differently than current projects. Some archived projects may return to the classroom in the future. Overview: Through hands-on real world problem solving done in collaboration with McDowell and Mary Collins School teachers, students, families and community partners, students will learn biological principles, mathematical reasoning and critical thinking skills. These skills will be used to help understand and address global issues in the context of our local environment and Sonoma County watershed. Overview: Our essential question is: how does climate change affect biodiversity? Our students will learn about the Petaluma Watershed, the biodiversity in the region, and the projected impact of climate change on the watershed. Thereafter, our students share their findings with local elementary students. Overview: "How does human activity affect the water we depend on?" Students will learn about the science and economics of water. They will learn how water is stored, harvested and distributed. They will learn how water is used and affected by various industries, agriculture and households, and the costs of restoration. Overview: Students will examine the Petaluma River Watershed through an increasingly focused lens - going from identification of the watershed area down to their immediate environment. Their culminating activity will be to design and begin to implement a landscaped area of the campus that incorporates positive environmental practices. Overview: Using American literature and history, what evidence can be discerned to show the reasons for the changes which have occurred on the river since the 1850's? The historical "ebb and flow" of the river has transformed Petaluma; students will revisit important landings, persons of interest and lost communities. Overview: Students will write observations, an inquiry question and a testable hypothesis related to the guiding question, “Is the Petaluma River watershed ecosystem healthy?” Based on data and evidence collected in an experiment Students will make a public service announcement in which a well researched suggestion related to environmental stewardship of the Petaluma River watershed ecosystem is presented. Overview: This is an inquiry research project to help children understand their world by starting with learning about their local watershed environment. Students will develop their sense of place, (Geo-Literacy). How can we as good stewards of our local watershed to educate the community about Thompson Creek? Overview: Students will read the novel, FLUSH, learning about contamination in Monroe County, Florida and will then make various trips to the Petaluma Watershed to perform water sampling which will help them draw parallels between the two watersheds and some of the ways in which our watershed is negatively impacted. At the conclusion of the unit, students will individually research and develop a Public Service Announcement with the purpose of bringing awareness to a specific water contaminant. Overview: “How have invasive species impacted (or altered) the Petaluma Watershed?” Students will explore this questions by documenting what organisms are native to this ecosystem. Then, they will determine what, if any, organisms (plant or animal) need to be restored along the river and/or creek. Students will learn about pollutants in our watershed with a focus on plastics: what happens to them, what impact they have on the environment, and what can be done about it. Students will use the issue of plastics in our oceans to build knowledge, analyze arguments, verify claims, and develop plans for how to minimize our community’s contribution to this problem. Students will conduct two clean ups of Lynch creek and will sort and analyze the trash that is recovered. Students will analyze the types of trash that are found, and then reflect how they may be contributing to it. Students will develop and implement a plan to reduce the plastic waste produced by the school and at home. Overview: What sensitive resources exist at the Lafferty parcel and what actions could be taken to improve the environmental quality? Students will map vegetation types and characterize them in terms of species abundance and presence of invasive non-native species. Students will also conduct monitoring of mammal, bird, insect, and herptile species. Students will also conduct water quality monitoring to evaluate the health of aquatic habitats. Overview: "Why is California water considered liquid gold?" Students will learn about the science and history of water as a natural resource on a local, state, and county level, stretching to the Petaluma watershed. They will investigate water as an ecosystem service and how human activity impacts and modifies its natural cycling, storage and distribution. Special attention will be paid to drought and the harvesting of water in California. Overview: When water goes down the storm drain, where does it go? What happens when something other than water goes down the drain? How can we, as Grant school community members, ensure that pollution is not entering the watershed from our site?These are the essential questions the students will try to answer. In order to do this students will learn about the role of storm drains and how the runoff into them can affect the Petaluma watershed. Students will collaborate in small groups to design a rain garden with the hopes of having it put in at Sonoma Mountain Elementary School. They will present their proposals to teachers, students, and then to whomever is in charge of approving the installation of the rain garden. 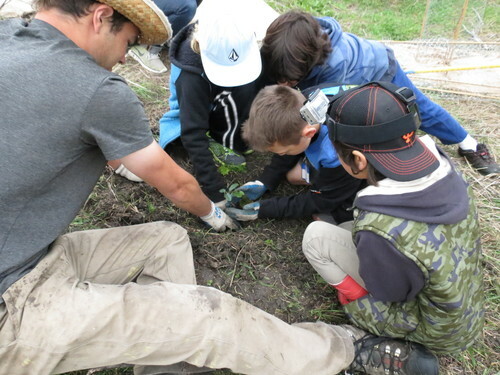 Participating Classes: 5th Grade Overview: The essential question: Why do we need native plants to grow in the watershed and how does this effect the surrounding wildlife? Students will explore this question by learning about the watershed, native plants, and the surrounding wildlife. They will help to restore some of the native plants along local creeks and/or rivers. Overview: Students will learn what is it like to be a professional photographer with a client. Students will photograph water testing stations, creeks that are not photographed on the atlas, and photograph some of the activities that students are involved with while studying the water shed. These photos will be used in both artistic settings as well as added to the Friends of the River web site and water shed atlas. Curriculum formerly known as "Interactions and Human Impact in the Watershed." Overview: For this project we will be building on work done in previous years & including additional actions. Students will begin in the current fall semester with an analysis of our Place using the Community Mapping principals from The Goodall Institute’s Roots & Shoots program. From there will well also consider our Petaluma River watershed. We will be considering Steamer Landing and the kind of habitat stewardship that has gone on so far, and they type of additional stewardship that may be necessary. We will also be looking at one yard on our campus with an eye to creating an outdoor classroom. 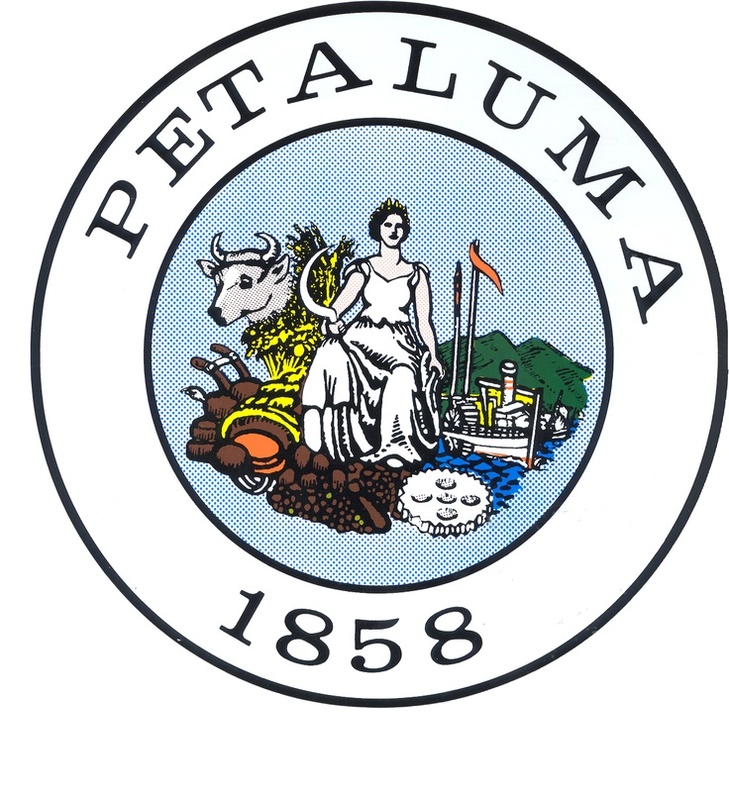 Overview: The study of the Petaluma Watershed will be part of our study of California history and geography. Students will examine how human actions have affected the watershed. Students will examine the question: What is my responsibility to the watershed? What can I do care for the Petaluma River? Students will become stewards of their local watershed by learning about and caring for the centrally located Petaluma River park at Steamer Landing. Specifically, they will work through a variety of activities that contribute to the successful establishment of native plants through planting and tending to 30 new individual trees and shrubs. In doing so, students will contribute to ongoing community efforts to celebrate and conserve the Petaluma River. Students will see the interconnectedness of the biotic and abiotic factors at the park and the implications of their plants within this ecosystem as time progresses. We hope that these efforts over time will transform the park into a thriving riparian community that all can benefit from. Students will answer the question "How will plants co-habitat in an effort to conserve water and produce food for sustainability?" The three sisters all complement each other nutritionally, providing people with sources of both starch, and proteins along with diverse vitamins and minerals. Corn supports bean vines, beans put nitrogen back into the soil while squash benefits from both. Conduct transects to characterize the species diversity, percent cover, and complexity (canopy layers) within the riparian community. Map the occurrence and extent of invasive non-native species in the riparian community. Collect water quality data (turbidity, nutrients, specific conductivity, and temperature) during 3 storm events. Use GIS mapping technology to delineate these subwatersheds and calculate percent impervious and pervious cover and land use types within each subwatershed. Map the extent of bank erosion within each stream. The two fourth grade classes at McNear Elementary School will conduct weekly water quality tests (salinity, oxygen levels, temperature, etc.) on the water from Thompson Creek, a tributary of the Petaluma River, and post the results on line throughout the school year. Overview: This December, students will cover an in-depth survey of the ecological community of the Elkhorn Slough National Estuarine Reserve. This survey is in preparation for the students’ winter trip to the Monterey Peninsula where they will do a biological tour –on kayak– of the Slough. 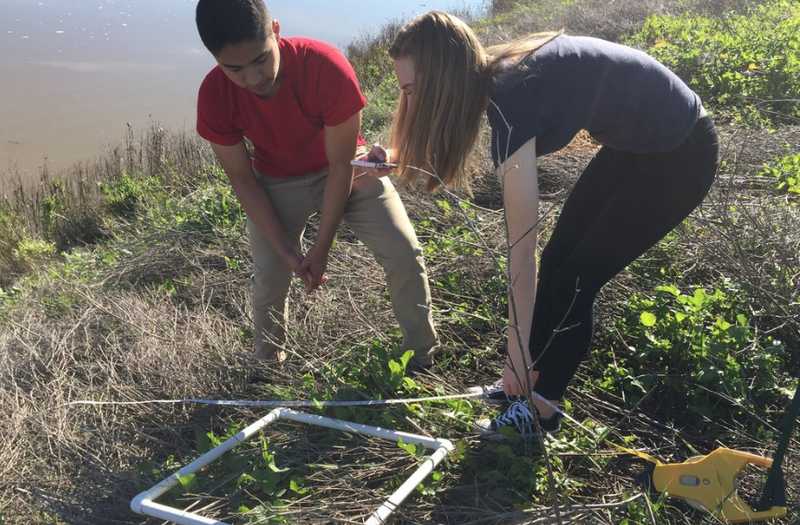 In the early spring, students will cover a comparative survey of the ecological community of their local Petaluma River Watershed. Subsequently, students will explore how climate change affects the ecology of riparian and estuarine communities and their related urban ecosystems. We will acquire specific knowledge about watersheds in general and Thompson Creek in particular. It is important that students understand that Thompson Creek is a watershed that feeds into the larger Petaluma Creek watershed, just as most watersheds feed into larger watersheds. A feeling of personal stewardship on the part of each student is also important as students understand that they are a part of their community. 1. Recording abiotic parameters at these sites, including temperature, dissolved oxygen, pH, nitrogen, ammonia, phosphates, turbidity, salinity, and conductivity. eliminating identified impacts to these sites. All third level students at River Montessori will meet once a week from January to May. As a whole group through various presentations, experiments, and other activities they will learn about the Petaluma River watershed and watershed geography in general; the nature of water itself and how the water cycle works on our planet; how people use water and water treatment in our area. Once they have some of this background, students will organize themselves into “expert groups” of about 4 students each to research specific aspects of salmon, native birds, and benthic macroinvertebrates completing their life cycles in the watershed. Students will generate written reports of their research which will include their understanding of how these animals are interconnected with each other and the nonliving aspects of their habitats. Students will engage themselves in the community in order to gain in depth understanding of our interactions with the Petaluma River and the implications of living in a community that consistently interconnects and is impacted by watershed. Students will investigate professions in Petaluma related to Casa Grande's Small Learning Communities and how these professions are interconnected to the Petaluma River. Students will analyze map data, public records, professional documents and engage in academic discourse with peers and community members in order to learn about our daily Interactions with the watershed.